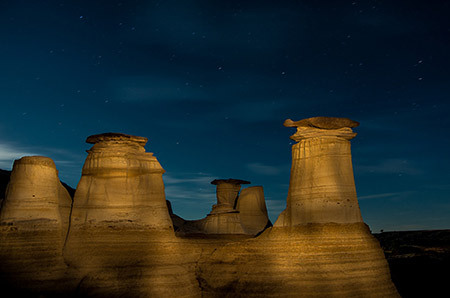 In this photography workshop, you'll experience four days and three nights of photography where you'll have a chance to capture the Hoodoos lit up with the setting sun and stars behind – while another night, learn and practice light painting in a prairie ghost town, and finally star trails or other nighttime photography. 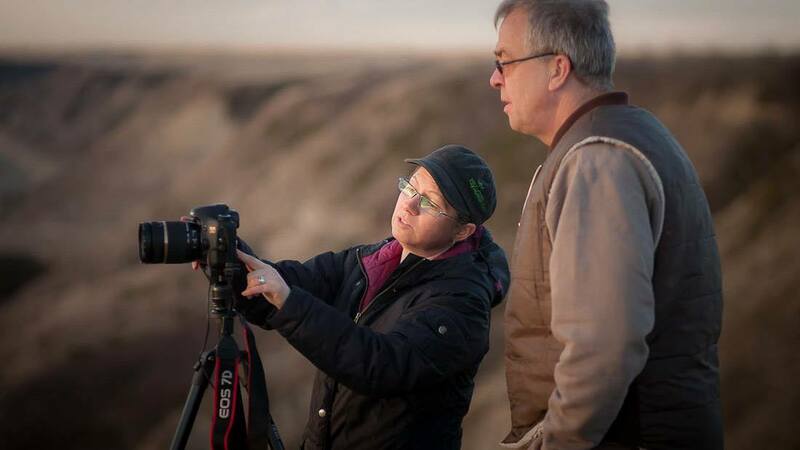 Capture sunrise over the Alberta badlands in an early morning shoot and then photo lessons and image review throughout the day. Learn how to position and light a model with the Atlas Coal Mine as your backdrop, then tour and photograph the once thriving mine. Learn Lightroom and image editing techniques in a classroom setting while reviewing your images. Come and enjoy a 4-day weekend of photography with other avid photographers. 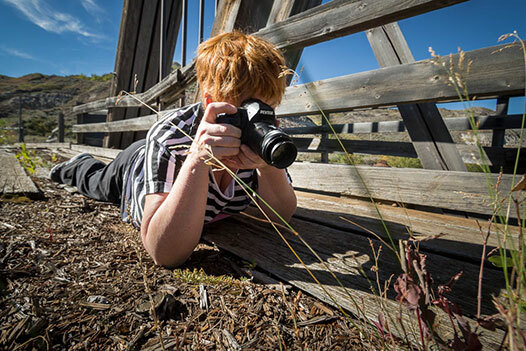 Spring 2019 will be the 11th edition of this weekend photography workshop! Who: You and up to nine other fabulous people. Spouses and non-photography types are welcome (single supplement applies, and inquire about a meal package). What: Photography workshop with on-location lessons including a portrait session and night photography. 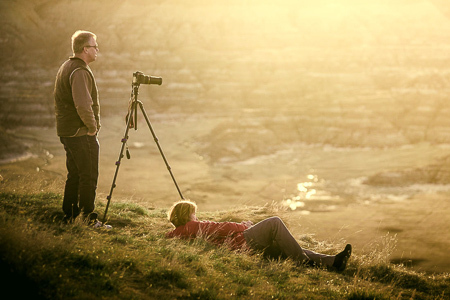 Why: To expand your photographic horizons, meet some new friends, learn a trick or two and have lots of fun. A second instructor will be added if the number of participants for this workshop is 9-10. Note: While the price of this workshop is listed at $1195 Canadian dollars, you will be charged only a $250 reservation fee with the remainder being invoiced 60 days prior to the workshop. She's patient and instructs in a laid back way that encourages learning. I learned so many things in this workshop including back button focus which will help me with my bird photography. 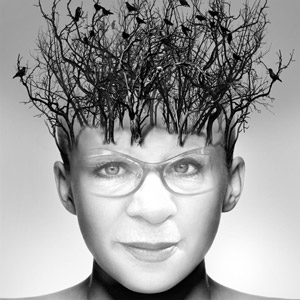 I look forward to attending more trips, tours and workshops with Darlene. You get to photograph at the optimal times of day for the best light possible, not like other workshops where you end up at the best locations at midday, and the worst lighting conditions. This is a workshop and designed for photography. Learn and practice night photography to dazzle your family and friends! Even if you’ve never done night photography this workshop will help you learn some ins and outs of shooting at night, and once again, on-site help as you’re shooting. You will get to work with an experienced photography teacher, Darlene Hildebrandt, who will show you how to create great lighting on location and pose people. With a little guidance and support, you’ll be photographing with confidence. YOU will take images so good you may surprise yourself! All the arrangements, bookings and schedules are planned for you – all you have to do is register, pay and show up! What better way to spend a weekend. Our photography workshop includes a non-intimidating photo shoot with a model (an old miner). With professional photography instruction and assistance during the session, the fear factor will be removed from the equation. If you’ve never worked with people or done any portrait photography, now’s your chance! With class time to review images, learn how to make improvements, post processing tips and tricks that are easy and you can do yourself. You will leave with knowledge on how to take your images to the next level. The Drumheller area of southern Alberta is an oasis on the prairies. It’s a desert in the middle of wheat fields, where you’ll find old coal mines, dinosaur bones, deep canyons, ghost towns, and even a tumbleweed or two on occasion. If you are not familiar with the area, it’s sort of like a mini Grand Canyon, mixed with Arizona desert, mixed with the old west. If you live in Washington, Idaho or Montana you’re just a days drive away. Of course, if you live in Alberta, BC or Saskatchewan you are even closer. Arrive at 5 p.m. in Drumheller to check in before a meet and greet between 6 and 9 p.m. We will discuss logistics for the weekend. Workshop notes will be handed out and we'll go over general tips to get the most out of the weekend. You'll learn some shooting tips for sunrise, sunsets, texture, shooting around your subject and just generally get to know one another. We'll be up bright and early for a stunning sunrise photo shoot over the valley of the Badlands. Then lessons and a few exercises at a local attraction and another interesting venue, all before 9 a.m. One-on-one time with your instructor after lunch, in scheduled time slots from noon until 1:30 p.m., followed by image review from the previous evening and the morning photo sessions. Then night photography instruction in preparation for the evening's activities. An evening workshop south-east of Drumheller at the Hoodoos. We'll get there just before sunset and then spend a few hours working on night photography. It's this first night that you may begin to understand that photography doesn't have to end when the sun goes down, that's when it just starts to get interesting. 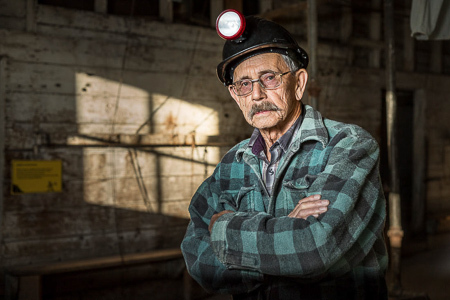 Join your instructor at the Atlas Coal Mine, along with a former coal miner, for lessons in lighting and portraiture. Following the portrait session, feel free to wander around the mine and photograph anything that captures your eye. Your mine tour fee is included in your registration fee and our miner model is quite happy to lead the tour explaining what it was like in his day. An abandoned train trestle nearby provides ample opportunity for some great shots, as does an old cabin from years ago. Lunch in the historic East Coulee School museum tea room, time on your own to tour and photograph in the school, or just learn the history of the area from the miners' perspective. We'll do a lesson in HDR photography and then practice at this unique location. Your instructor is available to answer any questions. Free time from 2-5 pm and a great chance for image review with the instructor, get some extra Lightroom tips and examples and have us answer your questions. 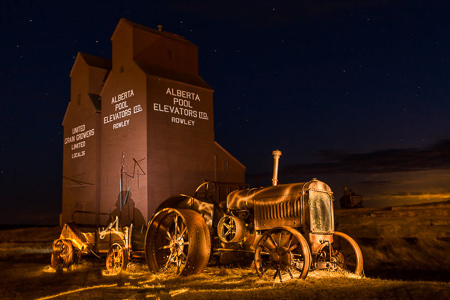 Dinner out and then night photography at a ghost town a short distance from Drumheller. Sunset photos with the dramatic backdrops provided by the ghost town. 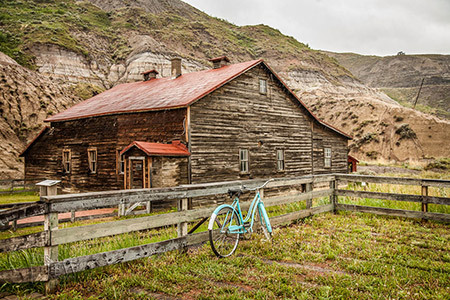 Classic prairie landscapes with the rustic charm of a small practically abandoned (but cared for) ghost town. Photos of old buildings and once the sun sets, night photography on site with a light painting demonstration and practice. 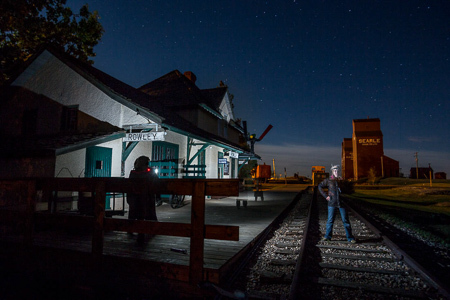 Make use of the grain elevators, a restored railroad station and plenty of rustic buildings and machinery. Things wrap up close to 11 p.m., so be prepared for a very long day – from just after sun up until well past sundown. We get to sleep in a little and will then have a final image review and wrap-up. You'll be on your way by about 1 pm, so time to drive home or back to Calgary for any late afternoon or evening flights. Be rested and ready because you are going to learn your camera better than you thought possible and also get a gallery of shots that surpass anything you ever imagined being able to take! 3 nights accommodation (prices based on double occupancy, if you wish to have your own private room, $250 will be added to the price). If we cannot match you with a roommate the single supplement will apply. One shoot at an old mine which includes a private guide and model who used to be a miner when it was still operating. 2 sessions of class-time for review of images, processing tips and a general question and answer time. Photography instruction and tutoring from an experienced professional photographer and teacher. A private Facebook group to share your images after the workshop and continue to get feedback from the instructor and fellow workshop participants. 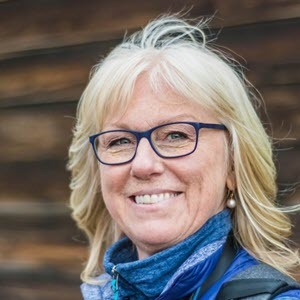 Darlene is the creator of Digital Photo Mentor, a photography teacher, tour leader, traveler, and a cat owner. 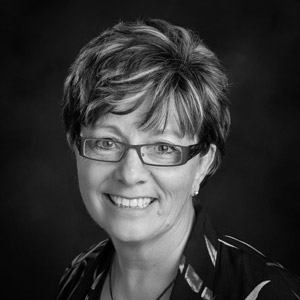 She has over 30 years of experience as a professional photographer and has been teaching photography since 2011. She is a Fuji shooter but speaks almost all other photography languages including; Nikon, Canon, Sony, Olympus, Pentax and more. 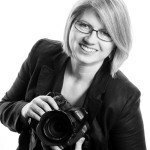 Whatever your skill level and experience, she can help you unlock the next level and take better photos. Final invoices will be issued 90 days before the workshop and are due 60 days in advance of the start date. Cancellation more than 60 days in advance – you will get a full refund of your final payment (not including your $250 deposit). Cancellation 31-60 days in advance a 75% refund of your final payment will apply (not including your $250 deposit). Cancellation 15-30 days in advance 50% refund of your final payment will apply (not including your $250 deposit). You are a beginner to intermediate, amateur or hobby photographer. You have a DSLR, Mirrorless, or Micro 4/3's camera (that has manual controls) and want to get more out of it. You have a point and shoot camera (unfortunately those cameras are a bit limiting and there isn't' as much to learn about them so you may not get as much value out of the workshop). The Drumheller weekend photography workshop was a great opportunity to immerse myself in two straight days of learning. Not only were sessions planned to take advantage of the unique location, enabling us to experience different types of photographic situations, but it all happened under the guidance of a helpful, patient, and knowledgeable instructor. All in all, time very well spent. I have never quite accomplished a good night shot when it comes to including skies and stars, even after a class in night shooting and multiple tries on camping trips. I was attempting it again while practicing light painting at the hoodoos and after a few suggestions from Darlene, I had a turning point moment. I looked at the preview in my camera and I was stunned, I could hardly believe I had taken the picture I was seeing. Not every good photographer is a good teacher however, in my opinion Darlene has both fields covered very well. 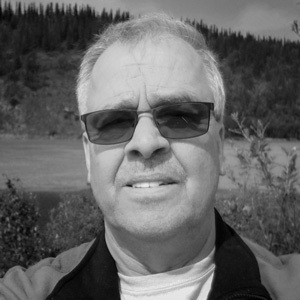 I've taken classroom instruction from Darlene, private photography tutoring and attended her workshop. I can't recommend her enough. Click here for our complete list of photo tours of Central America, Africa, Asia and South America, and if you'd like more hands-on, photography education, you'll love one of our workshops, held in Western Canada, Mexico, Barbados and soon SE Asia.